With all of the holiday prep and spending a week being sick in bed (but apparently noncontagious? ), the blog has fallen a little behind. Sandra and I are still meeting for nails once a week though, and she gets to listen to me moan about how terrible I feel, and then I paint her nails anyway. It works out. 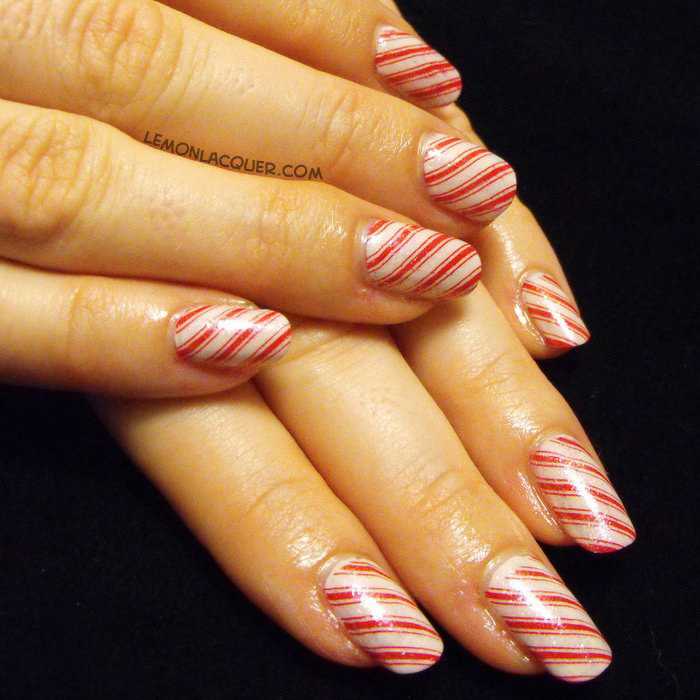 Anyway, before we met last week, I’d been sending her piles of Pinterest pictures of Christmas nail art, and she fell in love with the candy cane look. I dug through my stamping plates for this image I knew I had somewhere, and I pulled it out before she got here. 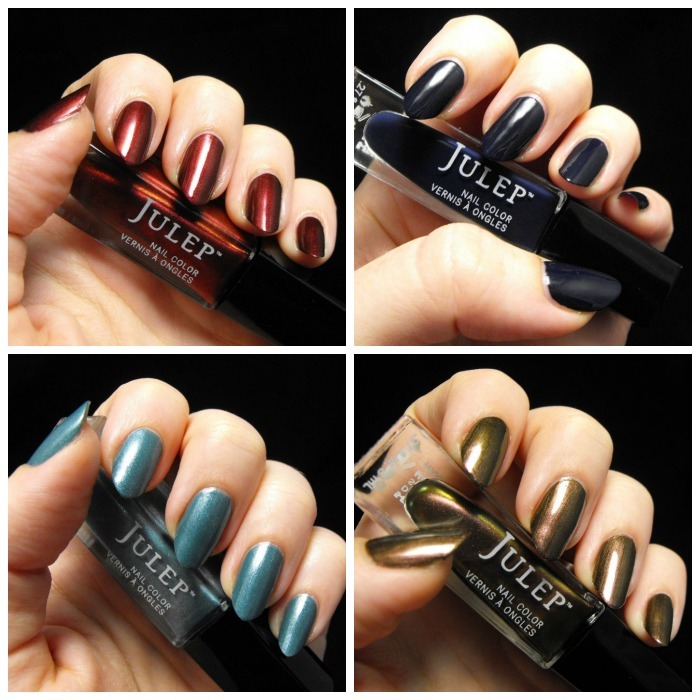 I got another box of goodies from Julep a couple weeks ago, so I’ve swatched them all up for your viewing pleasure. There are more colours after the break! Due to everyone in my house being sick, I don’t have a friend’s manicure this week. Instead, I’ve finished up the two remaining swatched from Wednesday’s Julep haul for Marjorie and Shailene. I also have a handy trick for dealing with all those tipsy Julep bottles you have lying around. Find out how I manage them after the jump.